Simply put, UI kits or templates are a set of ready-to-use user interface elements (mostly in PSD or Sketch format), including navigation bars, sliders, drop-down lists, buttons and typography as well. It’s quite a challenge and long process when designing your own UI, and those visually-attractive kits can take out the pain of developing a solution on the facing problem. The current design trends show the shift towards Flat Style, and the Material Design has been incorporated perfectly since the release of iOS8 realistic “line-style” UI. A big plus of those UI templates is they’re ready-made for the appropriate device, be iOS, Android or tablet. A number of templates are available for free download, and we’ve rounded up a list of the best UI templates and UX resource websites for your personal or commercial projects. Check them out and let me know if I’ve missed your favorite one in the comments at the end. UI kits are great treasures for starters and those who are working on the tight budget or deadline. The below UI templates mostly come in PSD file formats, including icons, fonts, graphics, patterns as well as other user interface elements. Here come all UI packs and website PSD or Sketch items. As one-page sites have been a trend, the EVERY Creative Onepage PSD UI set gives everything that you need to get the best results of your design. It’s bundled with various selections, such as sample works, features, contact forms and features. * Custom-made buttons, vector shape, table and icons. * Montserrat font and responsive design. * 3 PSD included & 1170 grid system. Expedition is a modern-looking and multipurpose PSD UI pack for portfolio, individual or business purpose. This layered template features a sleek appearance, making it pretty easy to create a fascinating website with clear focused message and unique style. * Multiple choices of homepage layout and header styles. * Extended documentation and elegant fonts. * Fully customizable and layered PSD files. SunTour Creative Travel Agency is a premium UI set PSD theme designed for commercial purposes. The fresh and clean design does outstand this kit from others, making it applicable for corporate, freelancers, companies, travel blogging, design agency and many other type of sites. * 13 PSD files with bootstrap based grid 1170px. * Modern and fully personalized design. * Free logo usage and Google web font. The Veggie Super Market PSD template features both single and multi-page versions, setting creative and refreshing designs in the market place. It’s perfectly suitable for vegetables and fruits market, integrating with easy-to-customize features. For instance, the colorized layer indicator help identify and adjust the sections and elements to your requirement. * 9 exclusive creative PSD layouts with 1170px boostrap gird layout. * Well maintained colorized layers with 100% responsive design. * Free font, graphics and icon used. The Trust kit is an elegant and multi-purpose Sketch template, that perfectly suits lawyers, law advisers, solicitors, attorneys, barristers and other legal or law related services. It’s an ideal choice for your brand-new website, with great collection of elements included. * 1 Sketch file with 16 easy-to-customize pages. * Clean, responsive & modern design. * Bootstrap 3 and much more. Whether you’re looking for a corporate-level appearance or just a more creative look, the Singleton UI Pack theme gives the design excellence and versatility to meet your needs. The stylish UI tool is comprised of 120 practical cards in 12 different categories. All in-built components are vector-based. * Montserrat Free Font and Crimson Free Font offered. * Editable and pixel perfect design thru smart designs. * Brightness & modern colors. A great pack of 24 different font combinations designed to facilitate your design process. Much time will be saved by using any of these templates, each of which offers a combination of two fonts, one for main body of text and the other for headings. * Each font is adjusted for a light reading. * Neatly organized & well layered design. * 24 combinations & free Google fonts. The Author Blog Desktop sets are geared for professionals looking for a striking blog-based site. There are 24+ artboards, with an array of symbols, style guide and text styles to get you up and running as time effective as possible. What really shines is its simple and clean interface design. * Awesome typography elements, along with unlimited color variations. * 24 artboards, with Intuitive & attractive user interface. * Pixel perfect design, built for developers. To find awesome UI components and web design elements is not easy always the time, and here is a comprehensive list of the best websites where you may grab the needed UI components and templates. A vast number of UI templates are available on the Web UI Kits site, ranging from calendars and forms to infographics and icons. No extra fee required there. From Dribble community, you can also find many sorts of UI projects shared by other members. Have a look and get inspired by intuitive ideas out-of-the-box. The newest list of free UI components for websites and mobile apps. A sustainable collection of individual components and UI kits, such as media players, drop-down list, navigation bars, sliders, etc. 20 of the best website homepage design samples and elegant logo design templates can be founded on Mockplus. The Behance community has lots of free UI components and kits in store for sites and mobile apps. You cannot go pass this great resource site! 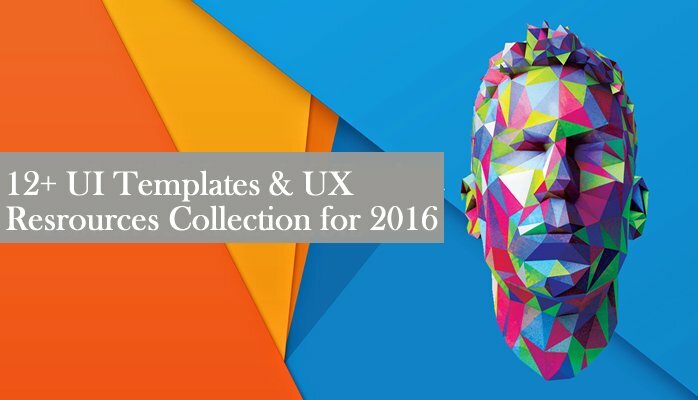 Great amount of user interface templates and components (over 3,500), totally free of charge! A complete set of UI kits of mobile apps and websites on Graphberry.